If you go after Bill O'Reilly, you better be prepared for a ferocious retaliation -- even if you're a Fox News colleague. 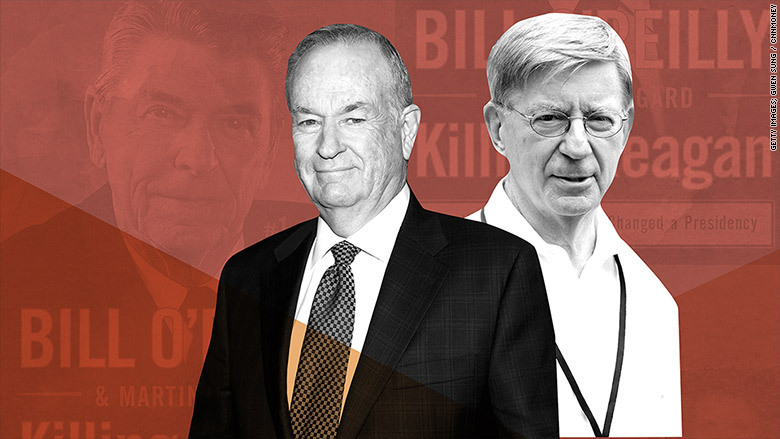 Conservative columnist George Will learned that lesson on Friday night, when he found himself trading attacks with O'Reilly during an extremely contentious interview on Fox News. Will, who serves as a Fox News contributor, earned the invitation to the show after writing a scathing review of O'Reilly's latest bestselling book, "Killing Reagan." O'Reilly began the interview by asserting that Will had broken a promise to Fox News Executive Vice President Michael Clemente. "Fox News hard news chief Mike Clemente, who you know, told us that you told him that you would call me before the column was published," O'Reilly said. Will claimed he never promised to make a call. "You have my phone number and if you wanted to call me you would," he told O'Reilly. O'Reilly pressed Will, asking if the guest was calling Clemente a liar. "No, I'm not. I'm saying either you've got it wrong, it would not be the first time you got something wrong," Will said, before getting cut off by O'Reilly. "I have it in writing," O'Reilly said. "I have it in writing from Mr. Clemente." A Fox News spokesperson did not respond to a request for comment. From there, O'Reilly shifted the discussion to what he has described as the "centerpiece" of the book: a memo saying that Ronald Reagan was eventually unable to perform the duties of the presidency and often spent his days watching soap operas. In his column on Thursday, Will wrote that the memo "included slanderous assessments of the president from some disgruntled Regan staffers," and had been "refuted by minute-by-minute records in the Reagan Library." Will also wrote that O'Reilly and his co-author, Martin Dugard, had never used the Reagan Library's resources. Will reiterated that point during his appearance on the "O'Reilly Factor." "It's a memo that you have never seen. It's a memo that you didn't even ask to try to see from the Reagan Library until after the book was in print. It's a memo that the Reagan Library doesn't have and you should know it doesn't have because the author was not a member of the White House staff," Will said. O'Reilly shot back by saying that the memo was backed by several other sources and that its author, James Cannon, only repudiated his findings "under heavy pressure" from the White House. That claim prompted Will to laugh. "What are you laughing at, Will?" O'Reilly said. "You deny that he repudiated under heavy pressure? Do you deny that?" "I deny that you know that he repudiated under heavy pressure," Will replied. Later in the interview, O'Reilly accused Will of "actively misleading the American people" and "lying." "You're something of an expert on willfully misleading people," Will said. But O'Reilly insisted that the book, which is the latest in his enormously successful "killing" franchise, is indeed "laudatory" to Reagan. "It is not a laudatory book," Will said. "It is doing the work of the left, which knows in order to discredit conservatism it must destroy Reagan's reputation as the president. Your book does the work of the American left with its extreme recklessness." When O'Reilly said that "Reagan loyalists" had tried to get the book killed, Will said the host was lying. "That isn't a lie, and we can prove it. And you are a hack. Bye," O'Reilly said, bringing the interview to a close.